Is your pet a little edgy? Then this is the set for him! 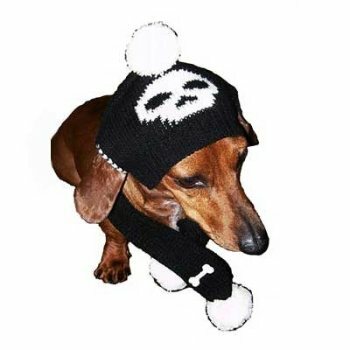 We also carry a matching Jolly Roger dog sweater too. Has openings for the ears and ties under the chin with a toggle. The scarf has a band underneath one end for the other end to slip in nicely. 100% acrylic, machine wash and dry.